The exceptional connection and soul-lighting properties of music cut across genres and religions. From the secular to the religious, music achieves the same effect. A binding spirit that lifts up our soul in unison. Music, as the perfect tool it is, recognizes our diversity and through the differences in genres, finds the perfect way to speak to each and every one of us. It does this through several mediums, who are known to us as musicians. Each musician takes charge of a particular genre, communicating the peace of music to their adoring listeners. One of those musicians is Michael W Smith, who has chosen the Christian genre of music to speak the message of music. Through this, he has achieved a lot, establishing himself as one of the most popular Christian musicians on the planet. Learn more about Michael W Smith by reading below. More often than not, we are a product of our environment. A sum of the people and situations that surrounded us as we grow into the world. Michael W. Smith’s life as a Christian musician is a result of his life, growing up in the church as the son of Paul and Barbara Smith. He was born to the Christian couple on the 7th of October 1957 in Kenova, West Virginia. His parents were not particularly rich, they were simple men who worked as an oil refinery worker (father) and as a caterer (mother). Nevertheless, they imbibed in their child, the word of God, taking him to church as often as they could and it began to pay its dividends at an early age when Michael fell in love with the Church piano. Through his love for the piano, he joined the choir and by the time Michael was 10 years old, he was a devoted Christian, who through music had found his way to Christ. To add to this, his Christian faith was also aided with the support of his friends and family, but sadly, when he lost the former as they left for college, things went south for Michael W Smith. As a way to cope with the loneliness and misery of being alone, he found companion with alcohol and drugs. Michael then tried to attend college, applying and enrolling at Marshall University, but soon dropped out after a semester. Despite being in a drug-fueled phase, Michael’s talents as a songwriter and a musician shone and his friend, Shane Keister advised him to take his very apparent talents to Nashville in pursuit of a career as a professional musician. Becoming a successful musician and returning to his faith as a Christian was down to his decision to relocate in 1978 at the advice of his friend. This move to Nashville led Michael to join a contemporary Christian music group called Higher Ground. He became the group’s keyboardist and after some years, through continued association with the Christian group, Michael began to find strength in the Christian faith he once lost as he rededicated his life to Jesus Christ. His transformation back to life as a full-time Christian was followed by a contract offer by executives of Meadowgreen Music in 1981. They had taken notice of his songwriting skills and offered him a job to write for some of their artists, including acts like Amy Grant, Sandi Patty, Bill Gather, and a few others. 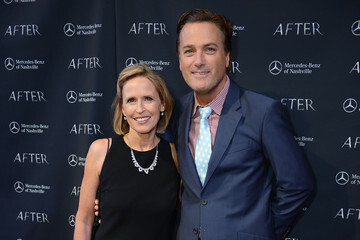 Michael W Smith’s talent and proximity to members of the professional Christian music industry led to the production of his first album, The Michael W Smith Project in 1983. The album was both a commercial and critical success. Since his first effort, he has produced and released 22 albums, selling over 20 million copies of them. His discography includes albums such as Wonder (2010), This is Your Time (1999), Freedom (2000) earned him several award recognitions, including 14 Grammy Nominations and 3 wins. He was inducted into the Gospel Music Hall of Fame in 2009. Michael’s other albums include Michael W. Smith 2 (1984), The Big Picture (1986), i 2 (EYE) (1988), Christmas (1989), Go West Young Man (1990), Change Your World (1992), and I’ll Lead You Home (1995). He continued with Live the Life (1998), Christmastime (1998), Healing Rain (2004), Stand (2006), It’s a Wonderful Christmas (2007), and Wonder (2010). Glory was released in 2011, Hymns (2014), Sovereign (2014), The Spirit of Christmas (2014), Hymns II – Shine on Us (2016) and A Million Lights (2018). Some of his songs include Above “Great Is the Lord” in the album Michael W. Smith Project (1983), “Place in this World” (Amy Grant, Smith, Kirkpatrick) in Go West Young Man (1990), “Bridge Over Troubled Water” written by Paul Simon in Healing Rain (2004), “You Won’t Let Go” co-written by Michael W. Smith, Mia Fields, Seth Mosley and contained in the album Sovereign (2014), lastly “A Million Lights” by Kyle Lee, Michael W. Smith in his 2018 album of the same name. Not only has the rededication of his life to Christ helped him build a solid career in the Christian music industry, but it also helped him meet his wife, Deborah Kay Davis. The couple met and got married all within four months and have been married ever since. The family, together with their five children live in Nashville. Two of his children, Tyler Michael and Whitney Katherine Mooring have embraced music beyond their relationship with their father. Tyler is a keyboardist, just like his father while Whitney is married to Jack Mooring, who is a notable band member of Leeland. Michael W Smith stands at 6 feet and 1 inch. His height is just one of the many admirable traits about the Christian musician outside of his remarkable exploits in music. He has blonde hair and blue eyes in addition.